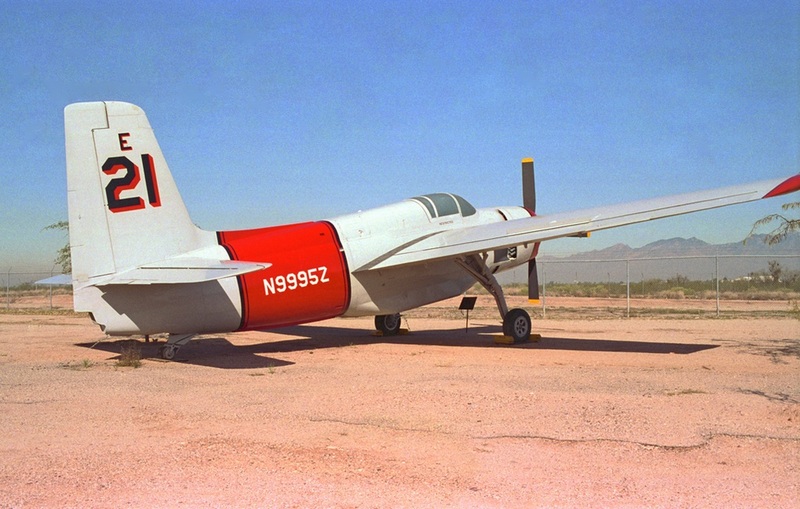 After World War II ended, an abundance of surplus military aircraft found their way into the fledgling aerial firefighting industry. 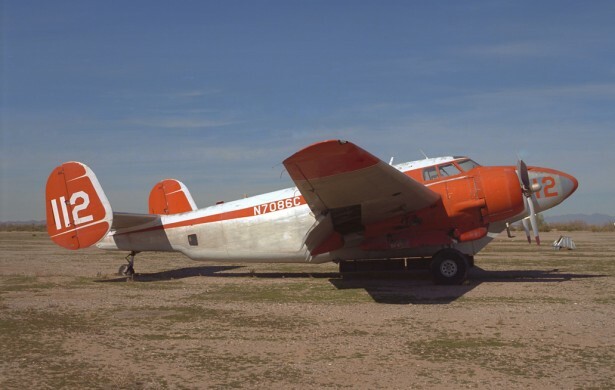 The combination of a large payload and the high performance of many bombers, attack aircraft, and transports allowed enterprising companies to modify airframes with large tanks for carrying borate and water for dousing wildfires. Some of these modifications were straightforward; large tanks were inserted into existing bomb bays and after the bomb bay doors were opened, the payload was released by opening valves. Other aircraft were fitted with tanks within the fuselage, with plumbing inserted through the floor to allow for the release of the fire suppressant underneath the aircraft. Alternately, a few more had external structures added to contain their loads. Some amphibians and seaplanes could skim along the surface of a lake and filled their tanks with water, then mix on-board agents within their tanks before their next drop. Most others had to land and refill on the ground. Adding a thickening agent to water kept the dropped liquid from dissipating into a fine mist before it reached the ground. 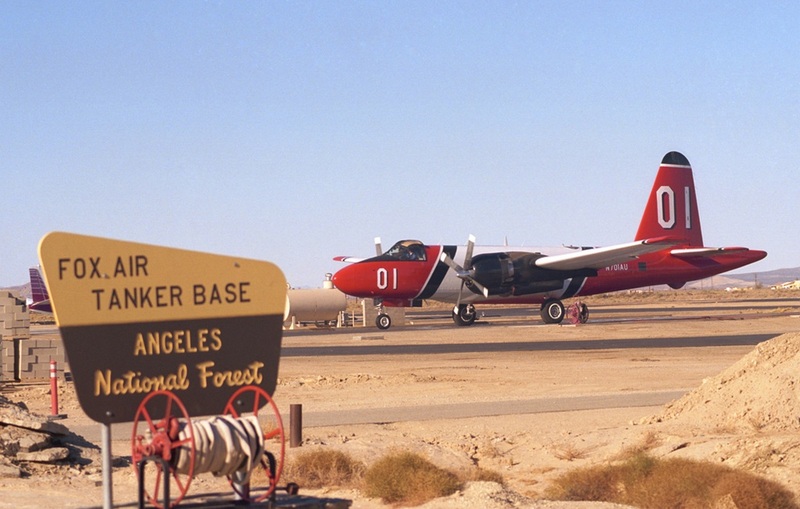 Red (and other color) dyes marked the ground drop, making airborne tracking easier. Mixtures of fire retardant and fertilizer became common additives to on board water tanks too. Originally, the payloads were dropped with the aid of gravity, but pneumatic (air) pressure became a widely-used enabler. 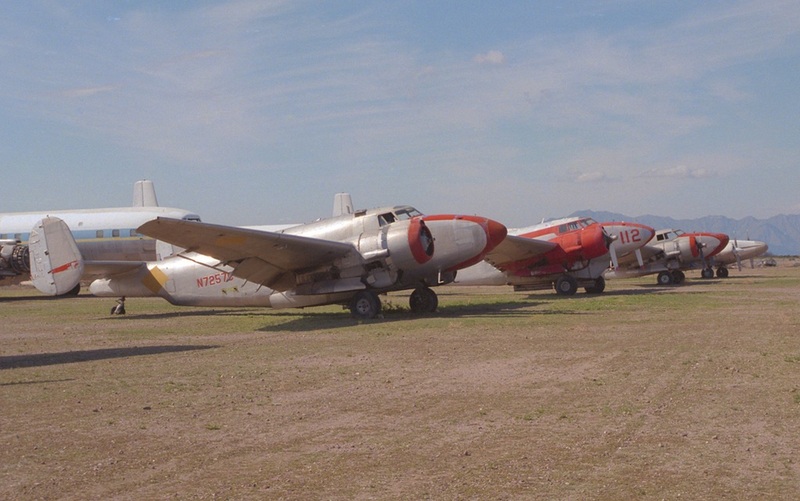 A large group of these initial air tankers served as U.S. Navy warplanes at some point in their lives. Strength was one reason, as carrier-borne aircraft were built rugged for the harsh environment they operated in and patrol bombers flew with heavy loads of fuel and weaponry over long distances. There were many sizes of aircraft modified from the stocks left over from the war. Some of the smaller Navy aircraft built in the 1940s and early 1950s that were converted included F7F Tigercat fighters and Grumman TBM Avenger torpedo bombers. 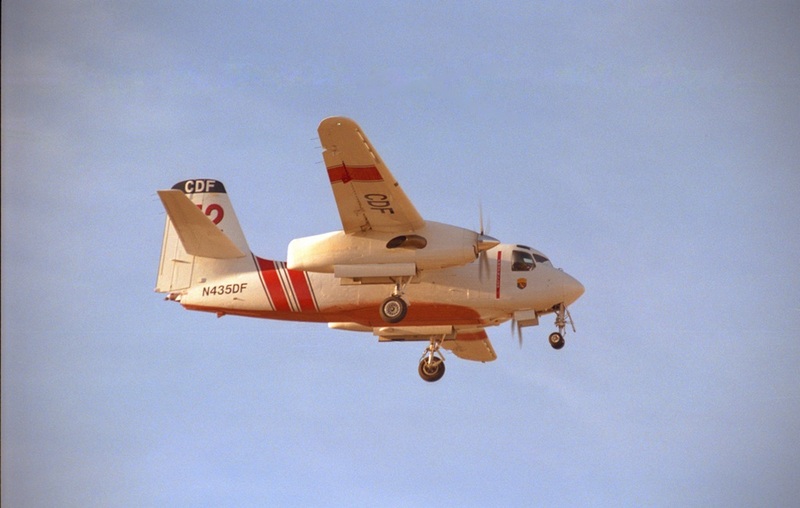 Forest Protection Limited, a Miramichi New Brunswick air tanker operator, operated a fleet of TBMs into the early 21st century, protecting the forests of eastern Canada and the state of Maine too. Inching up in size, the Lockheed PV-2 Harpoon patrol bomber was a widely used airframe. Larger patrol bombers that were operated into the 21st century included the Consolidated PB4Y Super Privateer, a modified B-24 bomber. 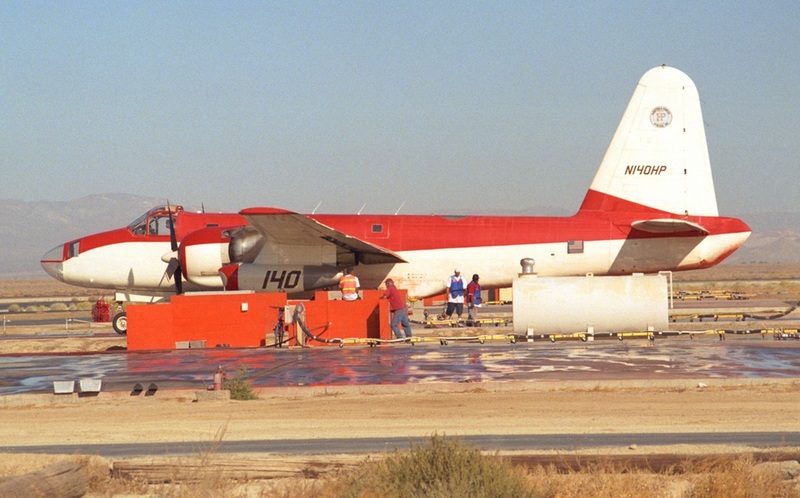 A tragic crash of one of these large airborne tankers in 2002 led to the grounding of the type; airframe fatigue was identified as the cause of the crash. A workhorse amphibian, the Consolidated PBY Catalina has been highly effective, and some are still operational in North America today. 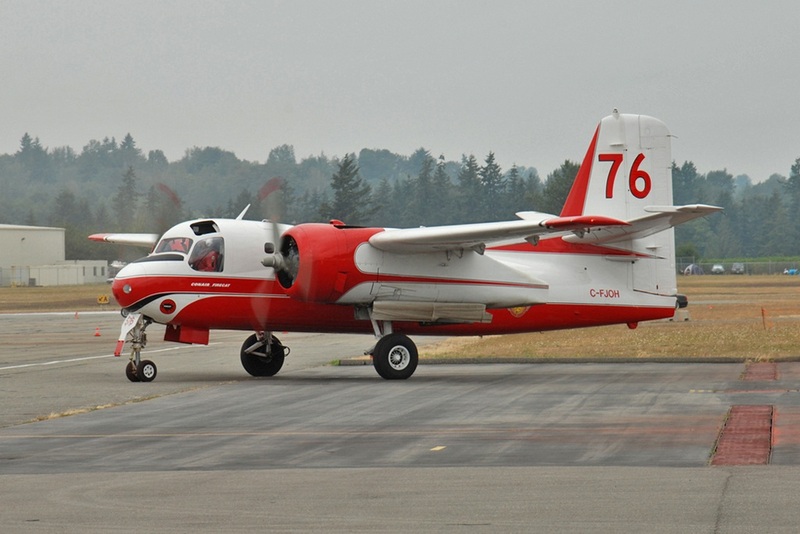 Finally, Coulson Flying Tankers still operates a pair of 1945-vintage Martin Mars seaplanes from their British Columbia base; each of the heavy air tankers has a different delivery system, but both can carry upwards of 7,200 gallons fully loaded. A second round of modifications took place on aircraft built during the late 1950s through the 1960s, as the post-World War II aircraft were retired due to maintenance and operating costs. 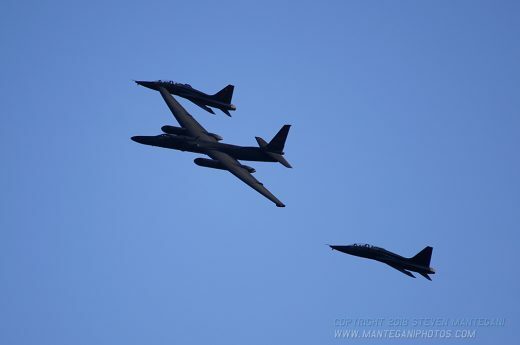 Again, former Navy aircraft were chosen for their payload, range, and ruggedness. 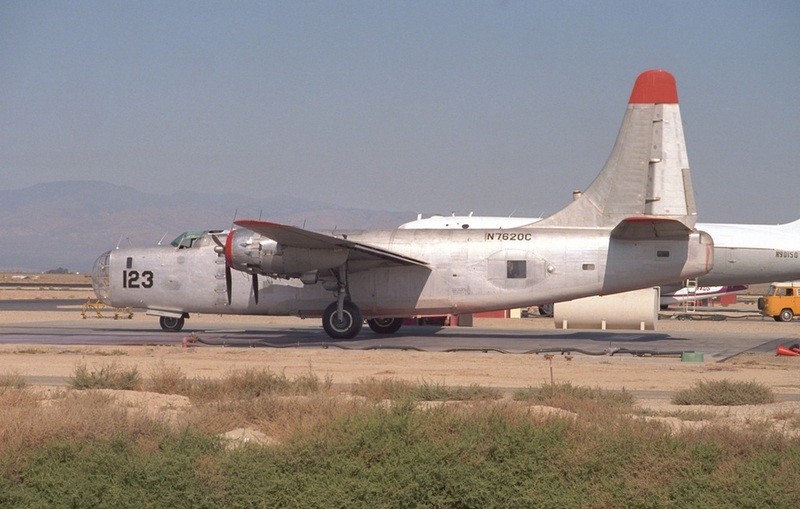 Aero Union operated a pair of radial-engined Grumman AF-2S Guardian anti-submarine aircraft, but the “Ironworks” icon of air tanker operations was and still is the S-2 Tracker. A relatively fast and rugged twin, some of the Trackers have been modified by Marsh Aviation into the Turbo Tracker, equipped with lighter turboprop engines. Cal Fire operates almost two dozen of these tankers in California. 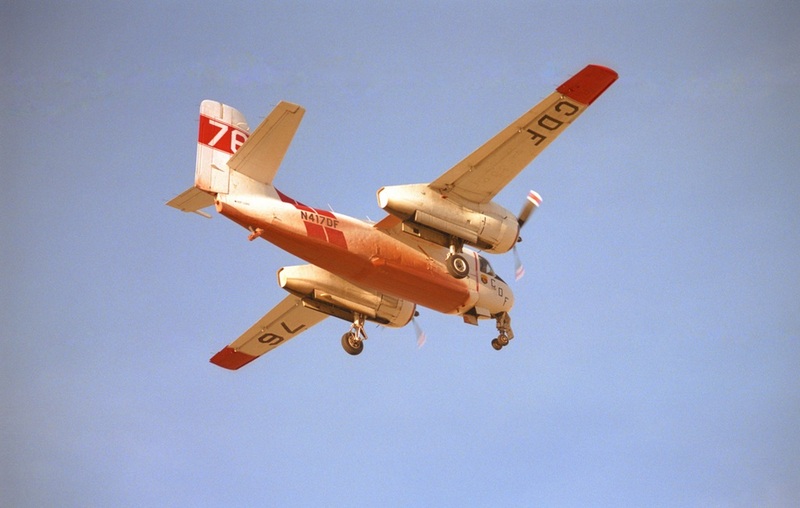 Canada’s Conair has produced the Firecat and Turbo Firecat, both from retired U.S. Navy S-2s and Canadian Forces CS-2 Trackers too. The Lockheed P2V Neptune has also found considerable favor in aerial firefighting; the larger patrol bomber has been modified by a number of companies. Aero Union’s four Firestar conversions did away with the pair of auxiliary jet engines under the wing of the P2V-7 version. A few SP-2H variants (without the characteristic MAD stinger normally found trailing the empennage) operate as tankers too. Ultimately, Aero Union modified a number of P-3 Orion turboprops and operated them as recently as 2011, but non-conformance with FAA-mandated maintenance inspections and programs led to the grounding of the fleet, and the business has closed. These last-modified S-2, P2V, and P-3 aircraft have computer drop controls to specify amounts and patterns to better utilize an aircraft’s payload. 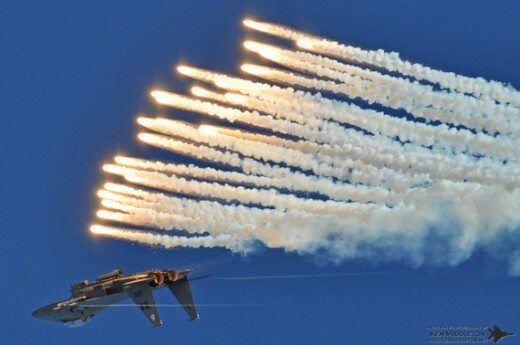 Although most airborne water drops are done with pilots’ intuition, they have help. “Birddog” aircraft often lead the larger tankers inbound to a drop zone. Originally, light singles and twins such as Cessna Centurions, Beech Barons and Cessna O-2 Skymasters were used. Today a growing number of turboprop aircraft are utilized to leverage the speed of the newer tanker aircraft (even jets). An important type in Cal Fire’s arsenal is the OV-10 Bronco, another ex-Navy (OK, mainly Marine Corps) aircraft that had been used for spotting and counterinsurgency operations from the Viet Nam war through to the first Gulf War. 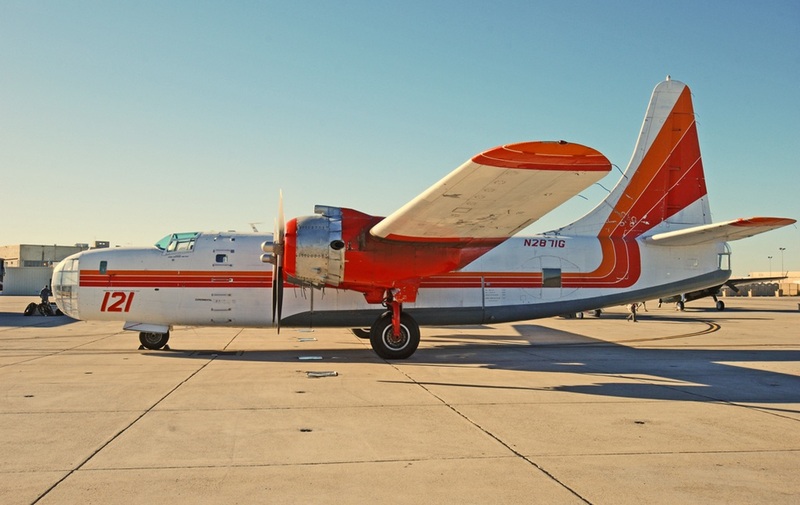 Over the years, from simple modifications and radial engines to computerized payload management and turbine efficiency, air tankers have grown in sophistication and importance for fighting wildfires. 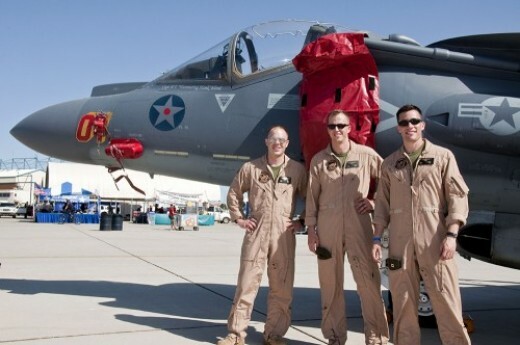 The U.S. Navy, although not formally connected with fixed wing aerial firefighting during the past 60 years, has much in common with it. It seems that many types of aircraft that have guarded America against international aggression do a great job at guarding Americans from wildfires too. To see where aerial firefighting has progressed to today, watch here for a report on the upcoming 2012 Aerial Firefighting Conference, 25th & 26th January 2012 at the McClellan Air Base, Sacramento, USA.